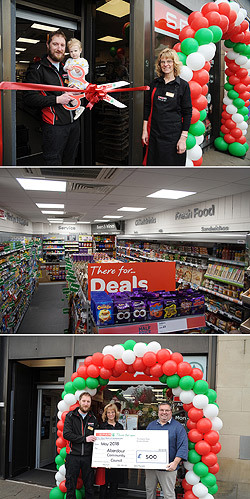 SPAR officially opened its doors on a new store in Merry Street, Motherwell on Friday 25th May with a red ribbon cutting by the store owner Sikander Cheema. IT’S A PENGUIN’S DAY OUT WITH SPAR SCOTLAND! We’re really excited to be a sponsor of Maggie’s Penguin Parade this summer. SPAR, the UK’s leading independent convenience group and partner of British Athletics, today (17th May), launched a new campaign designed to support community sport across the United Kingdom. 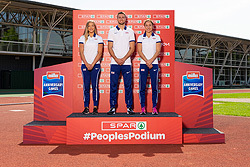 ‘The People’s Podium’ will see SPAR celebrate a selection of incredible local community sport heroes and provide £18,000 of funding for their projects. 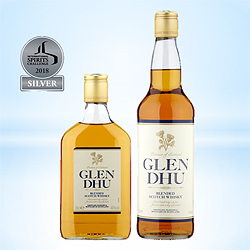 SPAR’S GLEN DHU WHISKY IS NOW OFFICIALLY AWARD WINNING! SPAR’s Glen Dhu Whisky has passed a scrupulous blind tasting by a world-renowned expert panel of specialist judges to beat strong competition to win a prestigious accolade. The whisky was awarded the silver medal in this year’s International Spirits Challenge 2018. 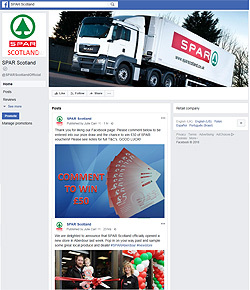 SPAR Scotland is delighted to launch a new Facebook page. The page, SparScotlandOfficial will allow customers to keep up to date with all the latest offers in store as well as local community stories from the length and breadth of Scotland.